There’s something in the air these days — literally. 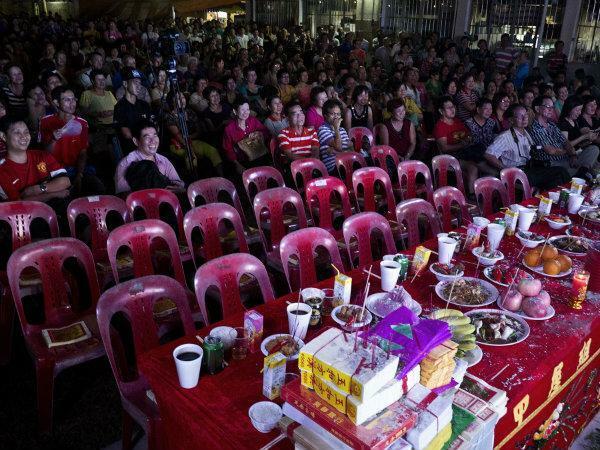 If you haven’t smelt it, or seen families and businesses owners burning huge stacks of fake money and paper houses, take this as a warning: the Hungry Ghost Festival will officially begin on 14 August this year. So hide your kids, and hide your cai fan — the ashes are sure to be making an appearance while you have lunch at your favourite hawker centre in the coming weeks. The Hungry Ghost Festival — or zhong yuan jie, as it is known in Mandarin — lasts throughout the 7th month of the Lunar calendar. It is a time when many Chinese in Singapore make offerings to their ancestors and other, well, hungry ghosts that roam the earth. 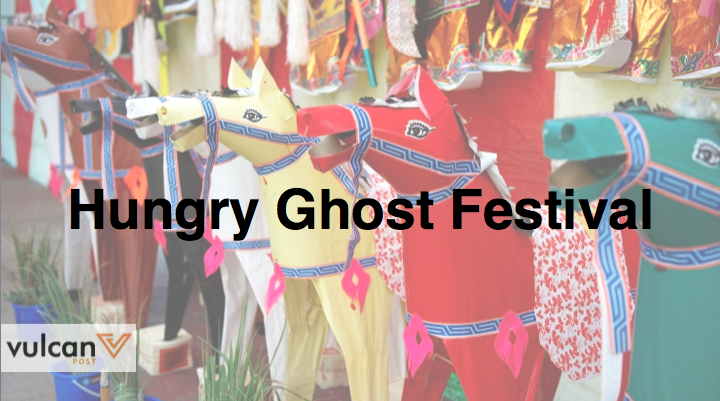 And as with many other festivals these days, the Hungry Ghost Festival is slowly moving online. To help make your 7th lunar month a more productive, and hopefully less ghostly one, behold, five ways the Internet can up your Hungry Ghost Festival game. There’s no question that online shopping has become big these days; even the Underworld cannot escape from its clutches. And there’s no online platform that does this better than Kimzua, which we previously wrote about. To make things easier for us in the living world, they’ve launched special 7th month packages that are pre-packed to include all the necessities you’ll need to placate your ghostly visitors. 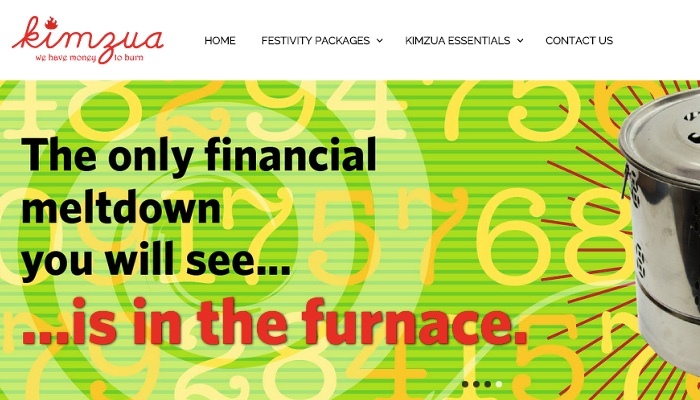 If you’re on a tight budget, Kimzua also has economical packages, which they’re sure will “fit your burning budget”. After selecting the items you need, simply cart out and they’ll deliver the items to your home — for a fee, of course. Offering food and other items to spirits in your home can get really messy, what with all the ash and dust involved. If you’d prefer to visit a temple to pay your respects instead, Beokeng is the website you need. The site, according to its Facebook page, lists Chinese temples in Singapore, and offers directions to each one. It even comes with a map view so you know how exactly to get to each temple, and includes a directory of upcoming events at the various places of worship island-wide. The 7th lunar month is not just about feeding hungry ghosts and burning paper renditions of real life things. 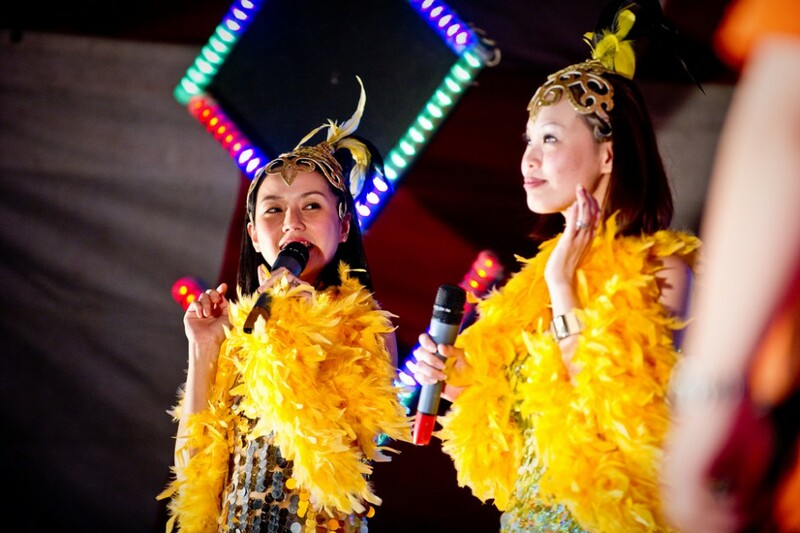 Our underworld friends need their entertainment too, and visits to the getai are how they — and some of us — get our fix during the festival period. With so many different locations and performers, though, it can get hard to keep track of the best getais to visit. And that’s where Facebook page Singapore Getai Supporter comes in. According to their description, they’ve been around since 2009. Their page is constantly updated with info on upcoming getais, complete with the names of bands and performers that will make an appearance. Don’t forget to hashtag #getaisg while you’re enjoying the songs and dances, and heaven forbid (sorry) you sit in the first row — those are strictly reserved for the ghosts. I’m referring, of course, to protection against unwanted ghostly encounters. 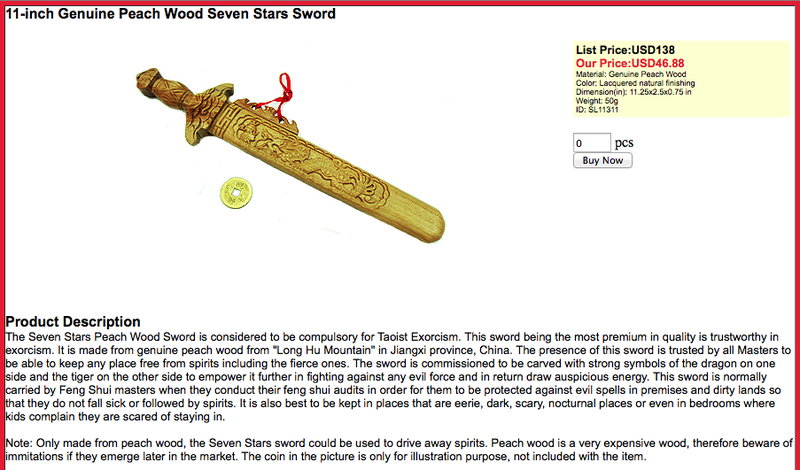 If you’re the superstitious sort, and would much prefer to have extra protection when it comes to interactions with underworldly beings, you might want to visit Feng Shui Bestbuy, an online store for feng shui products. 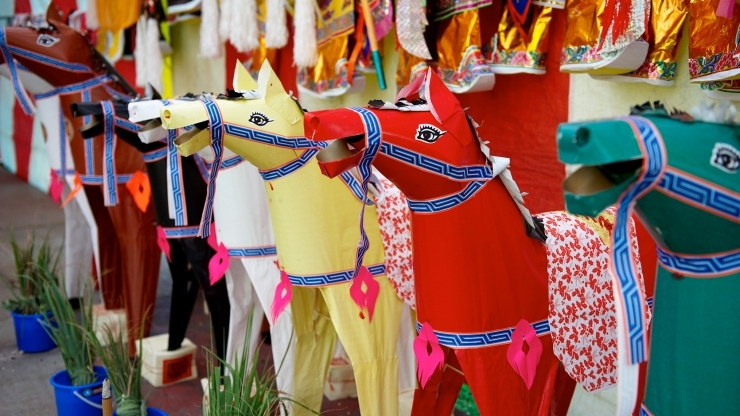 The website recently revised their post on the Hungry Ghost Festival, which includes links to items you can get to protect not only yourself, but also your home, from the spirits. And in case you were wondering: yes, they ship worldwide. If you’re anything like me, then you can never remember anything about the Lunar calendar. 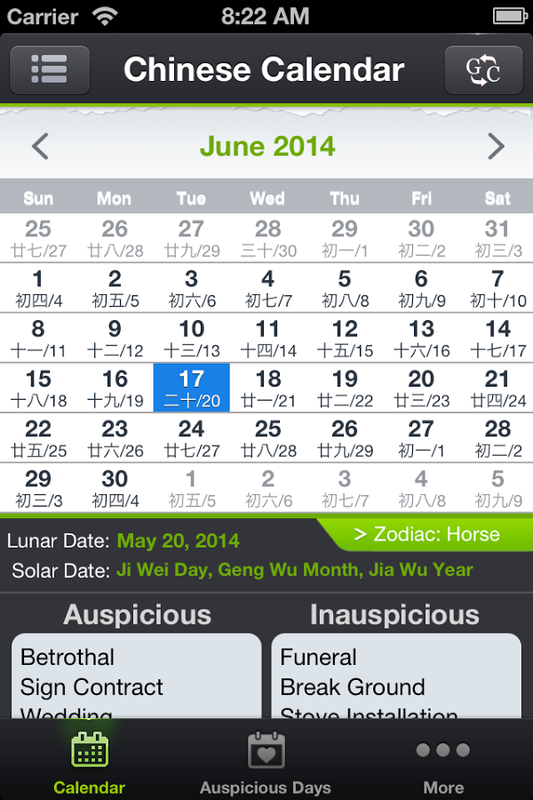 But there’s a Chinese Calendar app for that. The app shows you corresponding dates of the Lunar calendar below the usual Gregorian one (which is the calendar we use today). 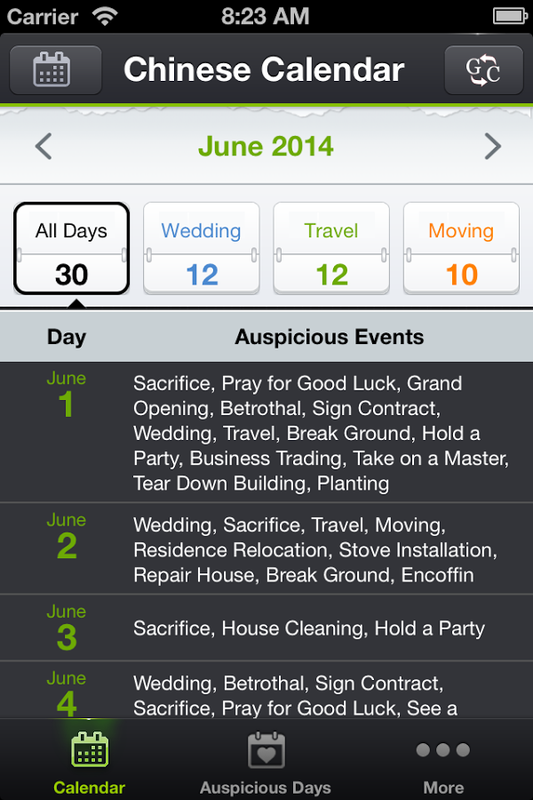 And apart from letting you know when each lunar month begins, it also indicates auspicious and inauspicious days, so you know when you should hold weddings, travel, sign contracts or tear down buildings. 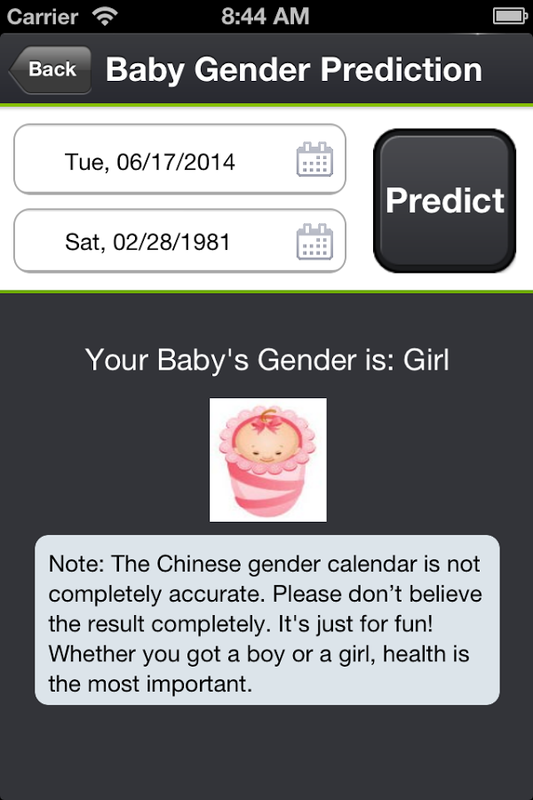 It even comes with a baby gender prediction feature (though there is a disclaimer that urges users not to take the results seriously) if anyone’s interested.